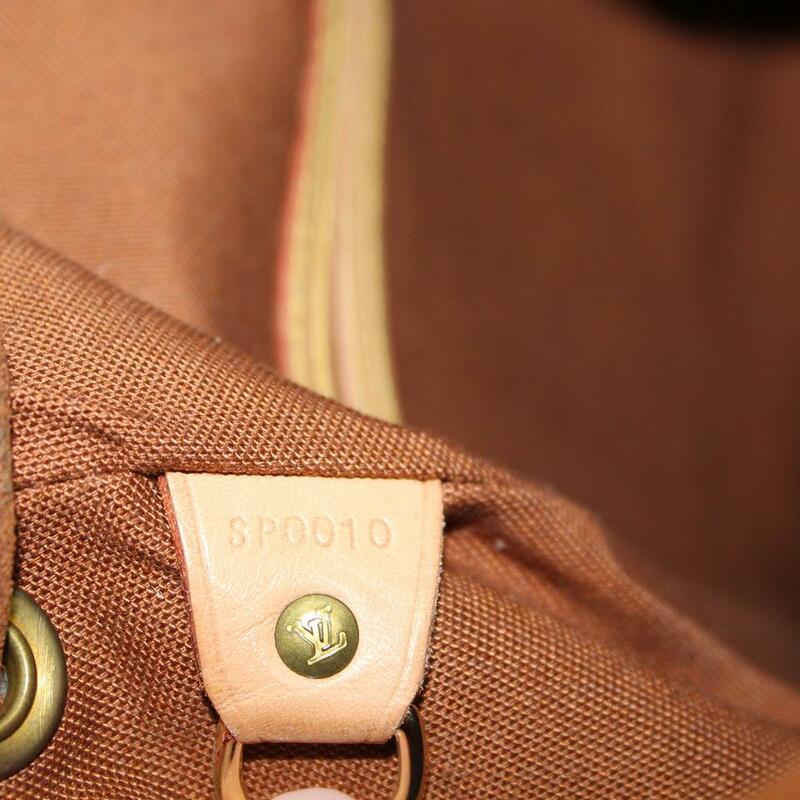 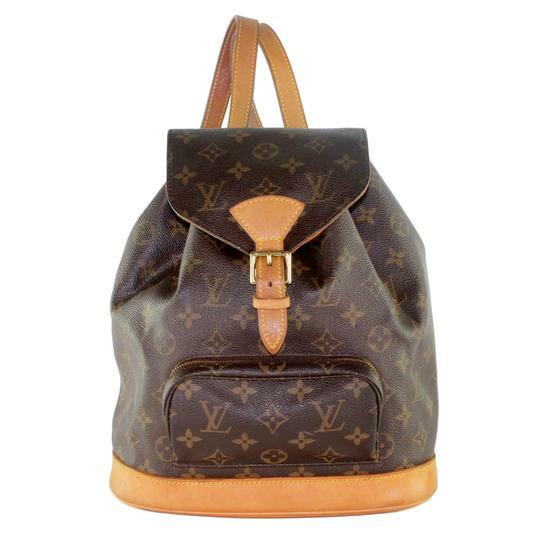 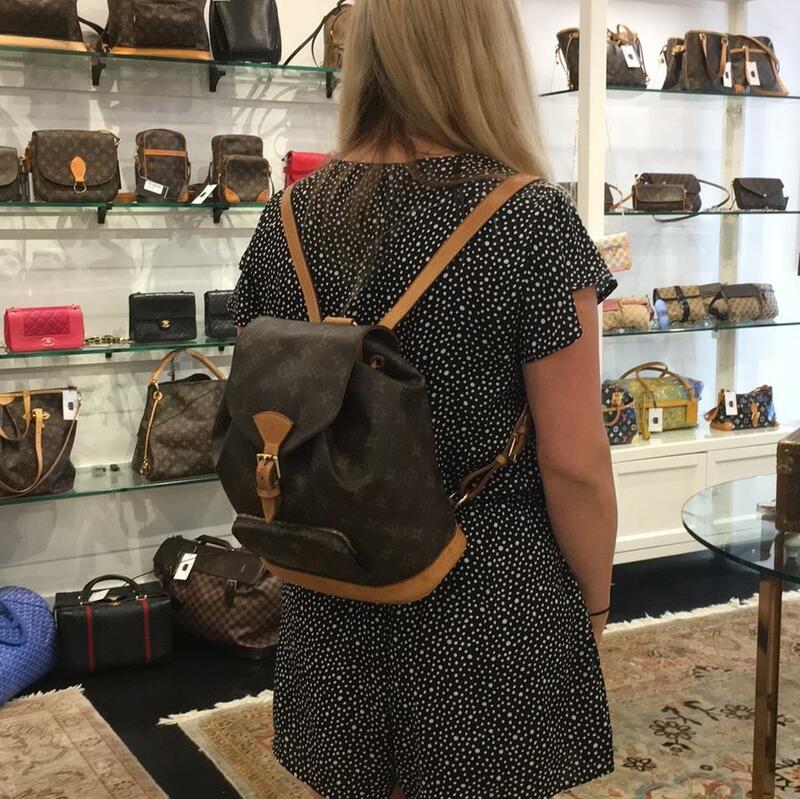 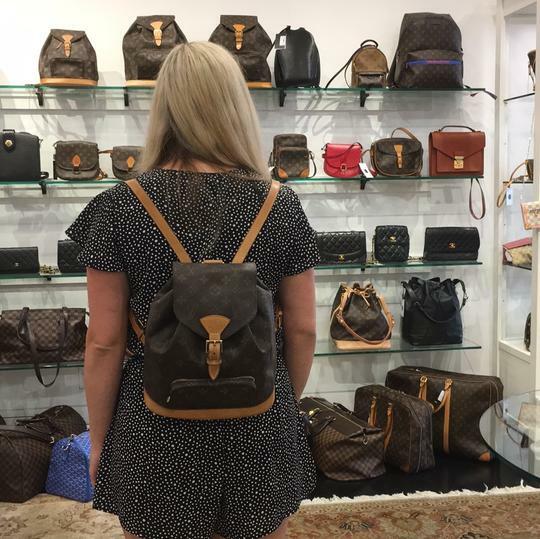 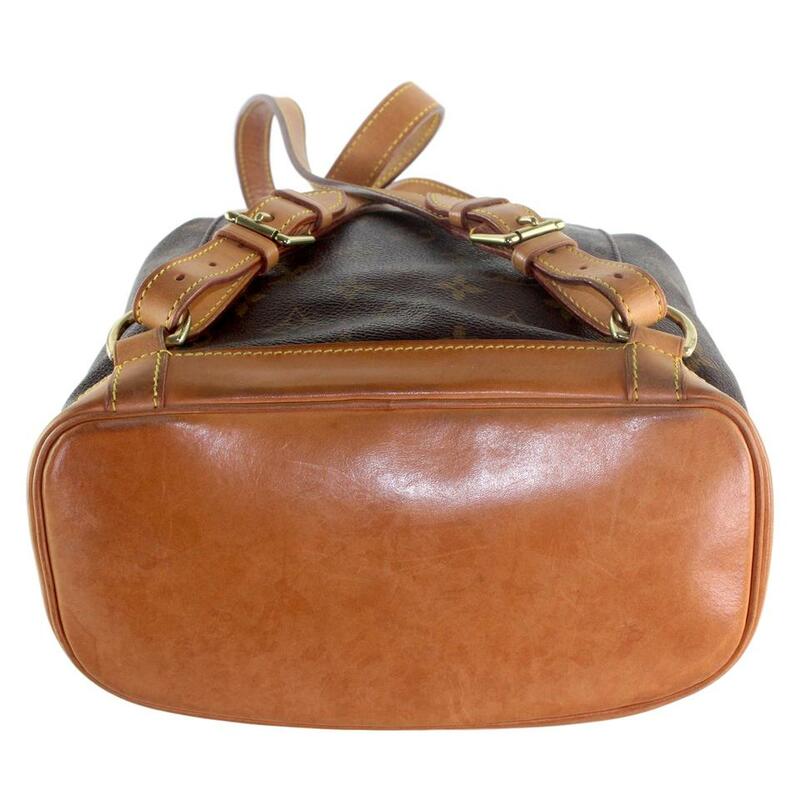 backpack with some scuff and stain marks on the leather parts, straps are strong at the base, interior is clean, original strong string with some signs of wear, all grommets are secure and in place, patina coloring, hardware tarnish, normal leather aging. 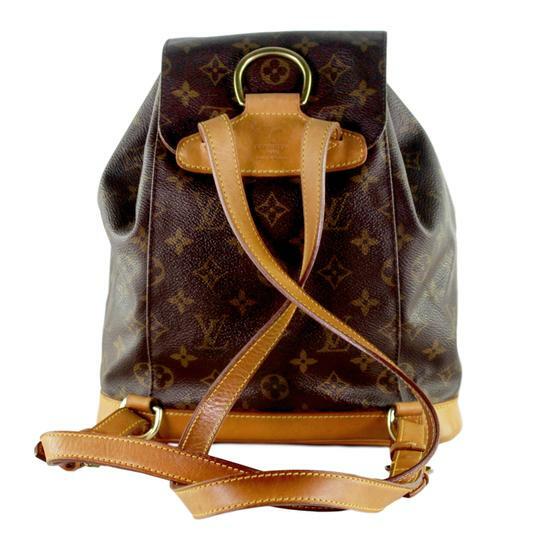 Overall this is a very nice backpack mm. 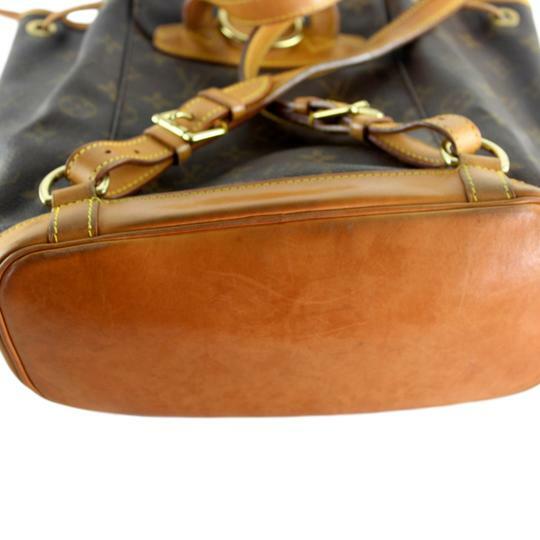 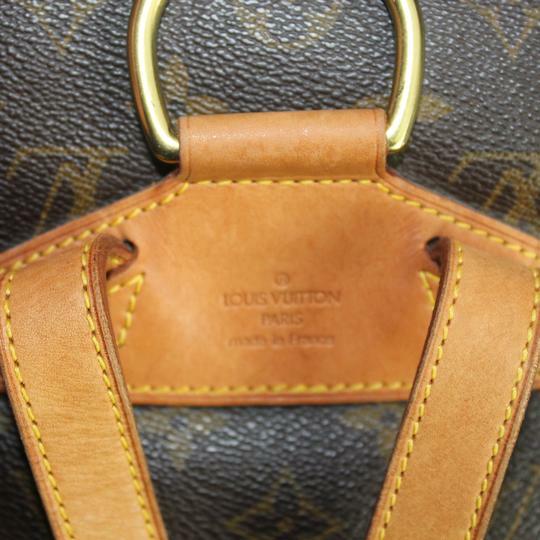 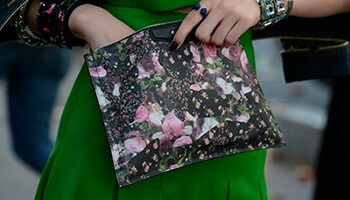 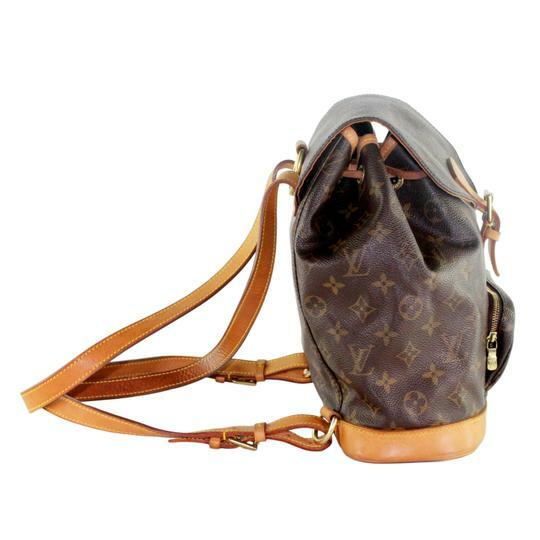 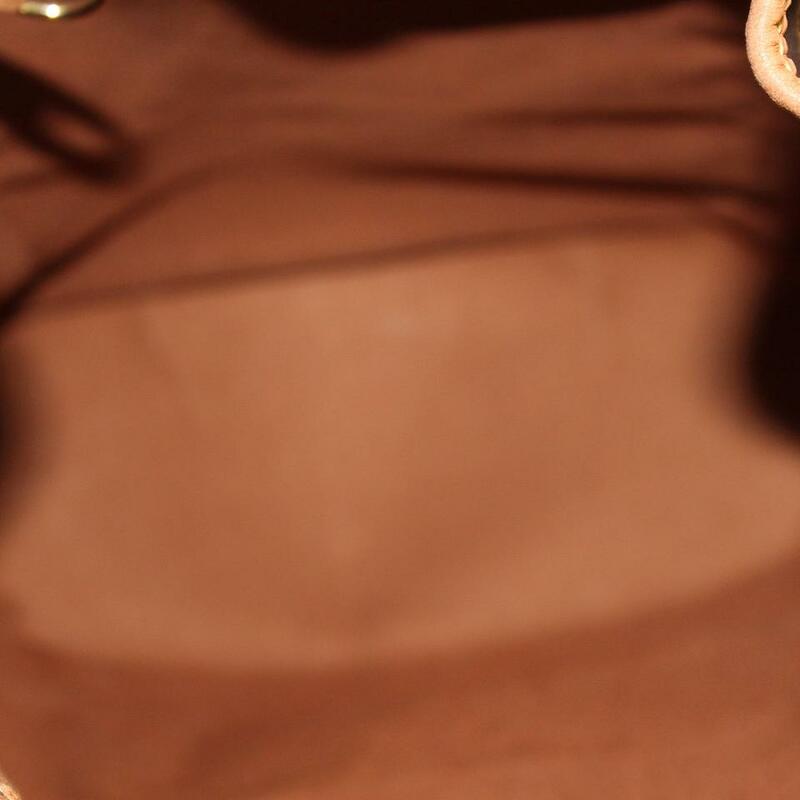 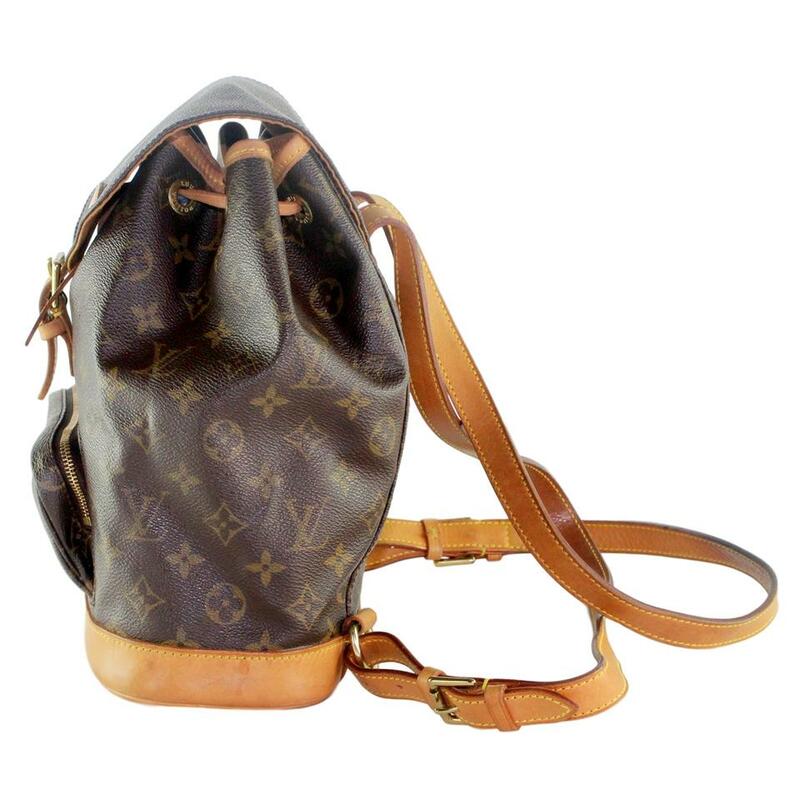 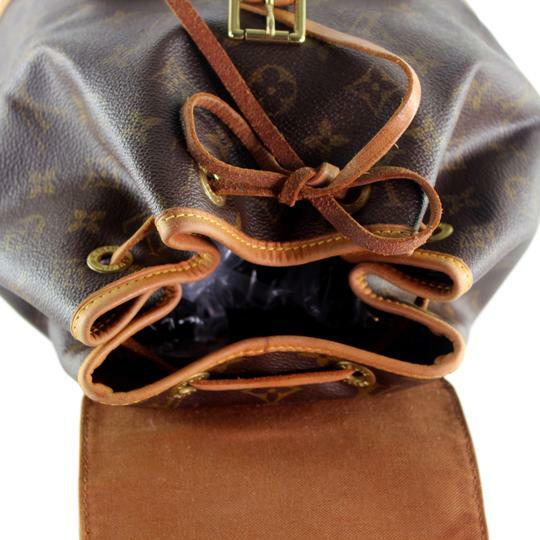 This is a luxury bag by Louis Vuitton that has been discontinued.